Tracking all your campaigns can be challenging, especially if you do multichannel marketing. Let me show you a simple tool that will increase your efficiency in campaign management and provide better data in Google Analytics. UTM tagging is a great tool that Google Analytics gives to thousands of digital marketers. If used right, it helps us analyze more accurate data and make better-informed decisions. It gives us the ability to be able to determine which campaigns perform well and which ones are just throwing money out of a window. UTM parameters are tags that you add usually at the end of a URL. 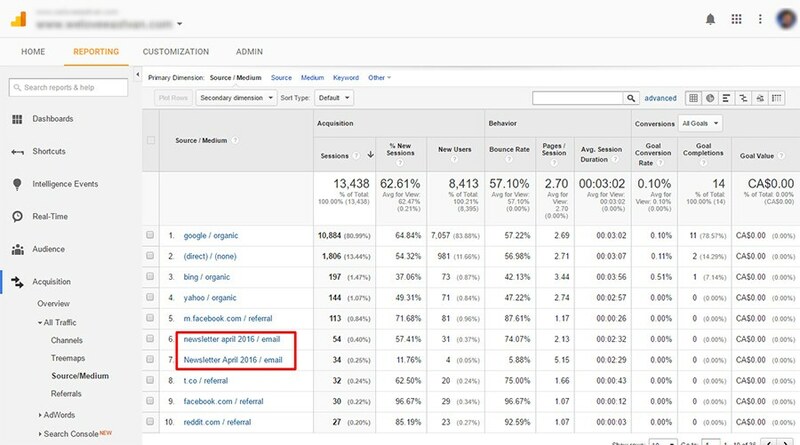 These tags help Google Analytics recognize the source of visits by providing detailed information from where the user is coming. You wrote an outstanding eBook with a few backlinks to your site. You sent a newsletter to your mailing list. If you don’t use UTM parameters in all these scenarios, you will be unable to evaluate whether or not your campaigns are profitable. If you want to learn more about UTM tagging, you can read this post from KissMetrics. How to create a URL with UTM parameters? Generating custom campaign parameters for your URLs is quite simple with URL Builder from Google. However, once you start working with bigger campaigns or in a team, it may become more challenging to keep track of all UTM parameters that have been used before. An example of two emails from the same campaign that were tracked separately due to inconsistency in UTM tagging. In order to stay organized and keep track of all UTM parameters I have used before, I created a Google spreadsheet that adds UTM parameters to my URL. Because I wanted to avoid mistyping campaign name, campaign source and medium, the sheet remembers those values and suggests them for further usage. * To see suggestions, click on the arrow facing down on the right side of a cell. Also, all these parameters are case sensitive, therefore, the sheet automatically transforms the parameters to lowercase. Lastly, there is a formula replacing spaces with %20. Is it necessary? Yes, because some characters simply can’t be used in a URL. It’s called percent encoding. I hope you will find this spreadsheet helpful and it will help you manage campaigns more efficient. Please feel free to share how you manage UTM parameters in comments. And if you have any suggestion on how to improve this tool, write it down as well.